XLRI was founded in 1949 by a few visionary Jesuit Fathers to bring about a change in society. The institute always strives to be a management school with a difference. The pursuit of academic excellence and fostering whole-person integral growth of students has been the hallmark of XLRI for over six decades. XLRI has consistently been ranked as one of India’s best B-Schools. Since 2002, XLRI Virtual Interactive Learning (VIL), gives working professionals an opportunity to undertake management education without taking a break from their careers. Over 7000 working professionals have benefited from programmes under XLRI VIL. VIL is a unique model of live online teaching where XLRI faculty teach students across the country. Be able to scan an uncertain environment, identify change agents and understand sources of challenges. Develop an integrated cross-functional plan to transform a business in response to the changing environment. Be equipped to implement and manage stakeholders involved with the turnaround and transformation process. All the key elements of the program – the faculty, the content, peer interactions and application exercises etc. are designed specifically for senior management executives who are responsible for key strategic decisions in their organization. Also, for experienced functional level heads or SBU heads who seek a broader perspective with their career progression to take on greater managerial responsibilities at the organization. The modules are crafted in a way that even change agents in organisations can be benefited from the programme. Graduation (10+2+3) in any discipline. A minimum 8 years of work experience in managerial role. Confident fluency in written and spoken English. Dr. Sangem is a Chartered Accountant and an FPM from IIM Calcutta. Dr. Mukherjee has a BTech from IIT Kharagpur and a PGDBM and an FPM from IIM Calcutta. 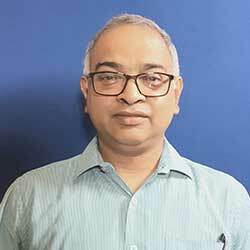 He has worked with Honeywell, Tata and SAIL. His research interests include technology and innovation, strategy, corporate governance and business transformation. 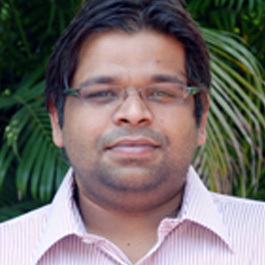 He has presented award winning papers at Indian and international conferences.